Samsung Bioepis said Monday that it has signed a licensing agreement with C-Bridge Capital, a Chinese venture fund company. Under the accord, C-Bridge will establish a new biopharmaceutical company, AffaMed Therapeutics, which will collaborate with Samsung Bioepis across a number of areas, including clinical development, regulatory registration and commercialization on Samsung Bioepis’ three biosimilars -- SB11 (original: Lucentis), SB12 (original: Soliris), and SB3 (original: Herceptin) -- in China. Samsung Bioepis will receive an upfront payment, as well as royalties on sales. The two companies did not disclose any additional financial details. 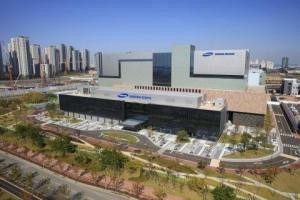 The agreement comes at a time when Samsung Bioepis is expanding its biosimilar business in China. In January, the company signed a licensing agreement with 3SBio, a Chinese biotechnology firm, for multiple biosimilar candidates from Samsung Bioepis, including SB8 (original: Avastin).